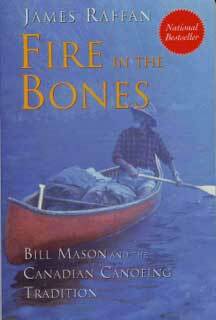 When Bill Mason set off alone into the wilderness in his red canoe, many people went with him, if only in their imaginations. Now, James Raffan leads us into the heart of the vast landscape that was Bill Masons own brilliant imagination, on a biographical journey that is entertaining, enriching and inspiring. Bill Mason was a filmmaker who gave us classics such as Cry of the Wild and Paddle to the Sea; he was author of the canoeist’s bible, Path of the Paddle; he was the consummate outdoorsman. But few Canadians know that his gentleness and rugged self-sufficiency masked a life of great physical struggles. James Raffan reveals the private, sometimes anguished, man behind the legend. Fire in the Bones spent 13 weeks on the Globe and Mail Bestseller List.